"Though often born into challenging situations, Three of Hearts are able to overcome anything. 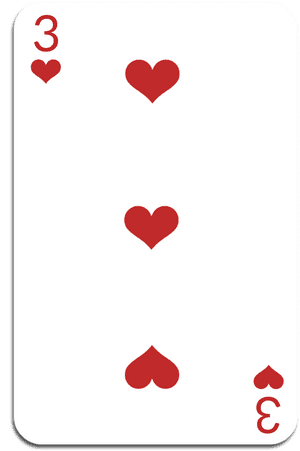 Perhaps the most powerful influence for the Three of Hearts is the King of Spades which is the Master card of the deck and sits in their Moon position. The King of Spades in this position gives them..."